Beautiful day here in #sydney as better that it is #chooseday. How is your #chooseday going? Hannah speaks with us about caving into social smoking, being asthmatic and how the 12.5% tax increase effects her. I tried my first cigarette at 15, though I didn’t pick it up habitually until about 17. How many cigarettes do you smoke a week? It varies, though I’ve tried cutting right down so that I only smoke on the weekends. I may go through a pack or two over a week. What are your smoking triggers? Definitely being around fellow smokers. Also social situations heighten when alcohol is involved. Do you cave in to these triggers? What made you want to take the #chooseday pledge? A lot of people know me as a smoker, though they mightn’t know that I’m also asthmatic. No one should smoke, but us asthmatics especially are putting ourselves at a very dangerous risk. I also don’t agree with the 12.5% inclination being put on the annual tobacco tax. How long have being doing #chooseday? 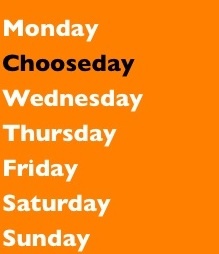 I’ve undertaken the Chooseday challenge for roughly three months now. Honestly, I’ve caved a few times, but more often than not I’ve kept on track with the pledge. Chooseday’s social media presence has been increasingly influential, and I love reading about other people’s progresses! Since beginning #chooseday has quitting smoking seemed like a more achievable goal? Definitely! Chooseday is the reason I’ve cut right back on smoking throughout the week, and I’ve become quite accustomed to it. Quitting smoking altogether is the ultimate goal, and I feel like I can achieve that with huge thanks to the motivation that Chooseday has inspired! First cab off the rank, Timothy O’Brien. We sat down with this third year media student in week four of his Chooseday journey to discuss all things smoking, addiction and positive peer pressure. When did you start smoking? I started smoking when I was about 16 years old. Initially I only smoked socially, but it progressed to daily and at home. At that point I was smoking about 30 cigarettes a week. Whenever I see or smell cigarette smoke, if I see someone smoking on television, or if I have alcohol. Well, some of my friends encouraged me to do it. I had been meaning to quit for a while and seeing the facebook campaign encouraged me to take the final step. So I would classify it as social pressures. It has been very helpful and rewarding, I am able to interact with other who are smoking as well as learn some interesting things about the damage that smoking can do. I am also reminded every Tuesday of why I am doing this, which further motivates me. Since beginning #chooseday has quitting smoking seemed like a more achievable goal? Absolutely. It has been an ongoing process as I am constantly reminded of my mission on social media. It’s a campaign that I can interact with daily, and I can understand that my goal is realistic and definitive. Online and offline support can really help when trying to quit smoking. Since primary school we have been warned against the dangers of smoking and provided with reasons to quit from the cost of a single packet to the endless amount of health reasons. Despite knowing the various reasons to quit, when smoking addiction is at its peak it can be hard to comprehend these reasons. It is in this time that the smoker needs support. Support can come in all forms whether it be reading a quit story to attending a cessation workshop, no matter how big or small these all help and work as a stepping stone towards a smoke free life. Here at Chooseday we have listed some support networks for those considering cessation. Online support directory – WhyQuit is a great directory for all forms of addiction support. Their nicotine addiction section directs you to all types of sites list the type of forum, midyear cessation rate and membership requirements. Check out if you are unsure where to start or if you are quitting with a certain method e.g. cold turkey, lozenge. ICanQuit – Our Aussie readers this ones for you. ICanQuit is an online service of the Cancer Institute of NSW, the website hosts application My Journey which allows you to set goals, track your progress and share your experiences. The site also provides helpful support on ‘Staying quit’ stating that “every attempt to quit smoking takes you one step closer to being smoke free“. Speak with a loved one – Although this may seem hard to admit that you are addicted, trust me you will feel better. Talking with a trusted friend or family member helps as there is a guarantee that this person knows you better than you know yourself. Through discussing your addiction you with them you are better able to work through methods to quitting. Speaking with a loved one also has a level of accountability as they can hold you up to your promises and keep you on the right path when strayed. Attend a quit workshop – A more old-school approach to addiction support, a group workshop could be exactly what you need. The purpose of a cessation workshop is to create a forum of both education and support, with individuals and experts together sharing their experiences with nicotine addiction. For our NSW readers The Cancer Council hosts a free one-day Smoking Care Intervention Workshop, click here for more information. 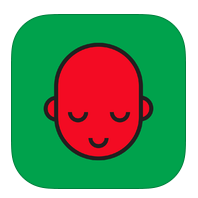 Engage in alternative therapies – There are a number of emerging support therapies which in conjunction with other forms of support can assist in achieving a smokefree goal. Hypnotherapy and visualization are becoming increasingly popular within quitting circles. These therapies occur on a one-on-one basis meaning that it is a tailored program, designed specifically towards your cessation journey. These therapies also appeal individuals as it is a confidential practice, revolving around you and the therapist. If this is something that appeals to you keep an eye out for our upcoming ‘ways to help’ post on alternative methods to battle nicotine addiction. Our reliance on smartphone technology has been highly criticised by the mass media with fears that the apps, websites and social networking sites we rely are leading to forms of addition and antisocial behaviour. Although we are spending hours on consumed by these platforms, there is increasing evidence that this addictive technology may be helping curb other dangerous addictions. There thousands of apps designed to help curb smoking addictions, with the majority focused on creating sustainable goals for quitting. 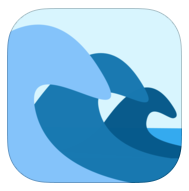 Here at Chooseday we have categorised our top five apps, reviewed by Erica Roth. 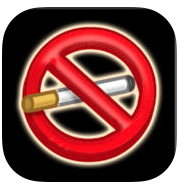 My Last Cigarette is one of the original smoking cessation apps, and it’s easy to see why it’s stuck around. The program has helped thousands of people quit smoking by pointing out the positives. The app calculates the money you’ll save by not smoking, but more importantly, it tells you how much longer you could live smoke free. Daily motivational messages and medical facts help keep you on track. 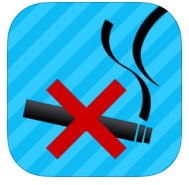 Quit It Lite is a motivational program that helps you track your smoking cessation goals in a different way. Instead of tracking your nicotine consumption, Quit It Lite focuses on what you haven’t done. The app tracks the cigarettes you didn’t smoke, the tar that didn’t absorb into your bloodstream, and the money you didn’t spend on tobacco products. The physical benefits of quitting are displayed, based on how long you’ve gone without smoking. Craving to Quit is a free trial of Craving Quit Pro, a 21-day smoking cessation program developed by and tested at Yale University. Using group-based training principles, Craving to Quit’s customizable features help you develop goals and remind you to check in daily in order to track your progress. Playlists provide audio and visual instruction, nightly reflections, and exercise tracks to keep you moving and motivated. You can also upgrade to Craving to Quit Pro in order to access all 21 days of instruction. Clinical hypnotherapist and stress management expert Andrew Johnson is known for his self-help programs. Johnson’s inspirational messages help people with many kinds of addiction. Now his confidence-boosting program is available to people who want to quit smoking. For many people, it’s not just the act of smoking that makes quitting difficult, but the situations that make you want to smoke. Quit Smoking with Andrew Johnson teaches you how to break habits that you’ve associated with smoking. The lessons make you relax your mind and body until you’re ready to let smoking go. 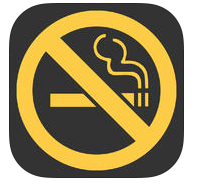 LIVESTRONG’s MyQuit Coach app can help you quit smoking your way. The physician-approved app lets you personalize your journey and make quitting smoking fit into your lifestyle. Choose to quit “cold turkey” or reduce your nicotine use with a step-down approach. Features include analyzing your nicotine consumption, tracking your cravings, and making resolutions that are meaningful to you. Do you use apps? If yes, is it one above or another? Politics may not factor in when deciding to quit. The majority of smokers wouldn’t even think of politics when buying their regular 20 pack however the systems that govern us play a great role in cigarette production and distribution. 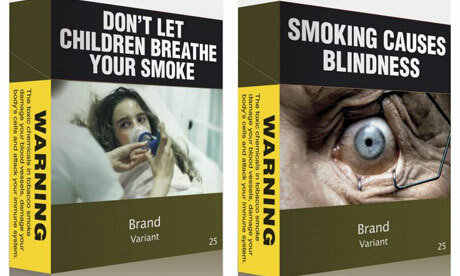 The last five years alone Australia has witnessed the introduction of plain packaging and regular tax increases, affecting the way smoking is viewed within our society. Within our nation the total taxes placed on a packet account for 62.5% of the final price, one of the highest ratios in the world. Through this increased tax rate the Federal Government receives a total of $8 billion annually. Although the mainstream Australian population agrees with these tax increases there has also been severe backlash. 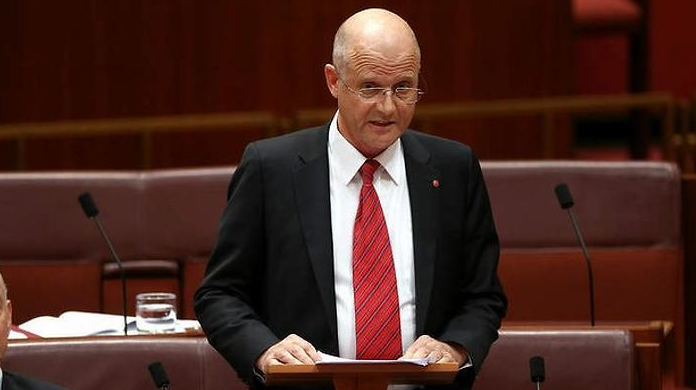 Recently, senator David Leyonhjelm’s apologised to smokers and vowed to stand up for the rights of the one in five Australians who choose to smoke. He believes there is a discrepancy in the amount that smokers contribute and receive from the Federal budget. He stated in 2013 smokers only required about $320 million from Australia’s healthcare system, despite contributing over $8 billion. Since the 1970s the political spectrum has been discussing the effects of smoking on the population, passing legislation altering the perception of cigarette smoking. 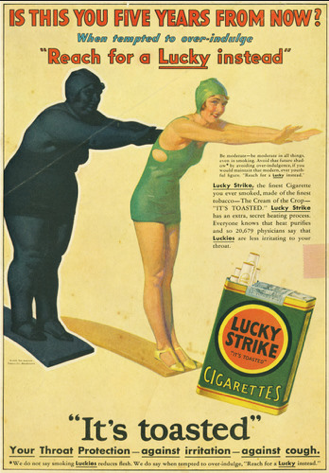 Advertising of tobacco products changed dramatically in the early 1990s with the introduction of the Tobacco Advertising Prohibition Act (1992) which expressly prohibited almost all forms of Tobacco advertising in Australia, including the sponsorship of sporting or other cultural events by cigarette brands. Through changing the advertising patterns the government were able to better justify later decisions, which would affect the average smoker. It was not until 2007 when restrictions really came in to place with the introduction of federal law banning smoking in all Australian Commonwealth government buildings, public transport, airports and international and domestic flights. Within the space of seven years we have seen the introduction of a number of state and federal laws such as the NSW ban on smoking in a car with a minor present and the nationwide introduction of plain packaging in late 2012. No matter what your view is it is clear that there is a massive political influence on cigarette production and consumption, it will be interesting to see what the next few years bring…will we see a complete ban? What are your thoughts on tax increases, plain packaging or Senator David Leyonhjelm’s comments? We live in a society where we are both highly addicted and also self-deprived. This pattern of addiction and deprivation creates unsustainable expectations of life and sees cyclical patterns of low self-worth. Within Australia, the rate of this behaviour can be viewed within the cigarette smoking community, whom are bombarded daily with antismoking messages yet still smoke. The objective of this campaign is to make it easier for smokers by encouraging them to go without for a single Tuesday. Through this abstention the individual is creating a more sustainable goal and paving a way towards a nicotine-free life. The sustainability of this goal is seen through the changes it makes to a smokers life, by participating the average smoker will save over $800 annually as well as vastly improve their physical and emotional health. This campaign is active on Facebook, Twitter and Instagram, with this blog being the centre for all our content and information.